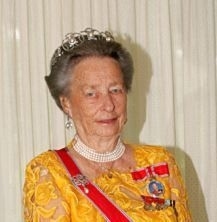 She gained the title of Princess Astrid of Norway.1 Her married name became Ferner. 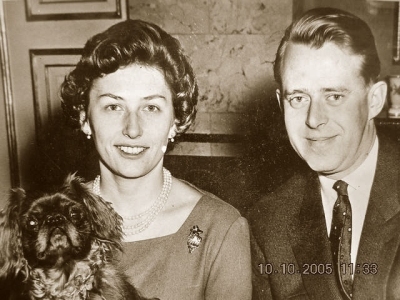 Johan Martin Ferner was born on 22 July 1927 at Oslo, NorwayG.1 He was the son of Ferner Jacobsen and Ragnhild Olsen.1 He married, firstly, Bitte Hesselberg-Meyer in 1951.3 He and Bitte Hesselberg-Meyer were divorced in 1955.3 He married, secondly, Astrid Maud Ingeborg zu Schleswig-Holstein-Sonderburg-Glücksburg, Princess of Norway, daughter of Olav V zu Schleswig-Holstein-Sonderburg-Glücksburg, King of Norway and Märtha Sofie Lovisa Dagmar Thyra Bernadotte, Princess of Sweden, on 12 January 1961 at Asker, NorwayG.1 He died on 24 January 2015 at age 87 at Oslo, Norway. He was educated at London Polytechnic, London, EnglandG.4 He was educated at Bradford Technical College, Bradford, Yorkshire, EnglandG.4 He was educated at Univeristy of Lyon, Lyon, France.4 He was awarded the Olympic Silver Medal in 1952 in 6m sailing.5 He was partner of Ferner Jacobsen AS. From 9 December 1989, her married name became Johansen. Her married name became Beckmann. Carl Christian Ferner was born on 22 October 1972 at Oslo, NorwayG.1 He is the son of Johan Martin Ferner and Astrid Maud Ingeborg zu Schleswig-Holstein-Sonderburg-Glücksburg, Princess of Norway.